Alex Heron joined us in 2016 after hearing great things about Saddle Skedaddle from his friends who guided and traveled with us before. 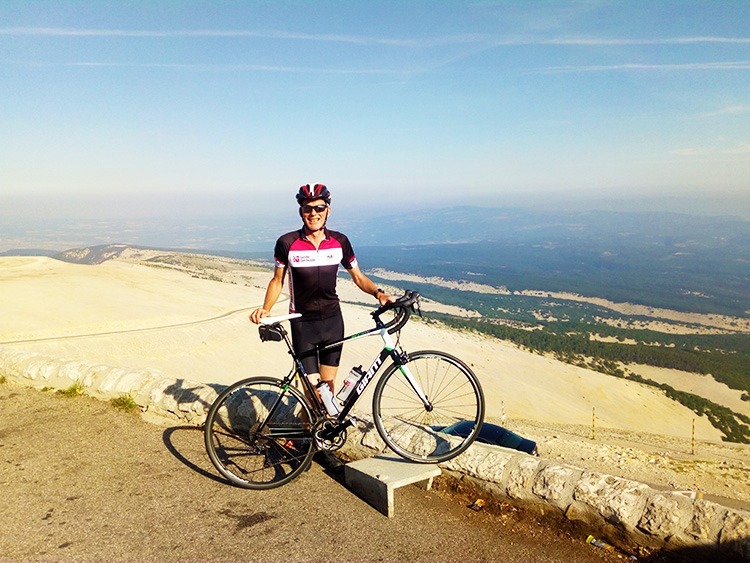 And being a Jack-of-all-trades, Alex has since guided a number of Road, MTB, Family and Leisure cycling trips in the UK and France – including the iconic St Malo to Nice journey, which he says is the highlight of his Skedaddle career so far. 1. What do you like most about Skedaddle? Right from my first contact with Skedaddle I felt everyone cared about the same thing; looking after customers. The whole team seem to have the same values which makes them great to work with. Oh, and it’s fantastic fun! 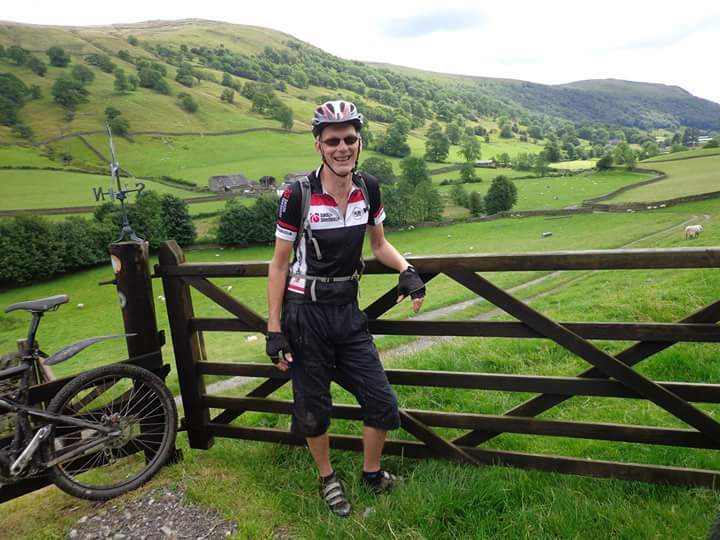 I mean… when I’m guiding I’m on a bike a lot of the time and visiting beautiful places with folk who are there to enjoy themselves. What’s not to like? Prep! By making sure you and your bike are ready for your trip all you’ll have to think about when your there is enjoying the riding, fantastic scenery, culture, food, wine, company… I could go on, but you get the idea. 3. Which trip are you most excited about in our holiday range? I have yet to guide on a Skedaddle trip I haven’t enjoyed. But for me the best ones are Iconic Journeys, travelling across countryside, poking about old towns and taking in the changing culture. So Lands End to John O’Groats, St Malo to Nice or any point to point trip in the UK or Europe. 4. What would your chosen superpower be? Now that’s a tough question! I’m pretty happy with the ones I’ve got (I wish) but on balance I’ll go for Atmokinesis, which according to the Oxford Dictionary of Superpowers is “one of the most powerful abilities in existence where one can control and manipulate the various forms and aspects of the weather itself”. 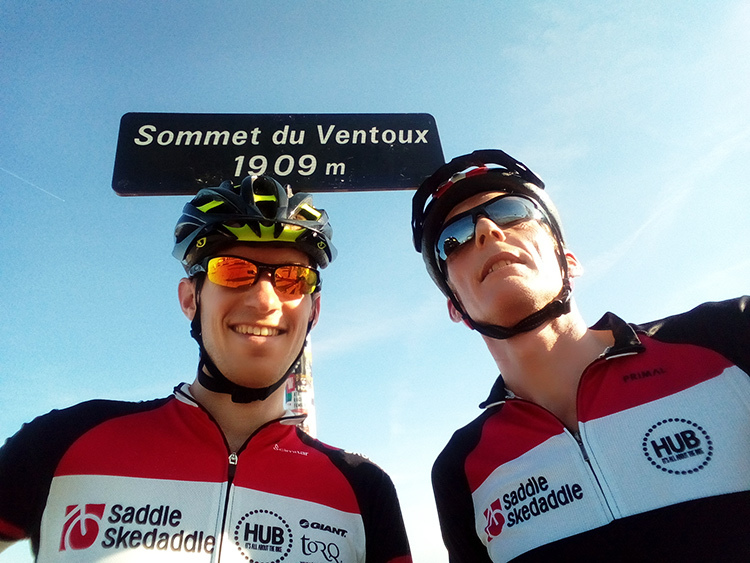 Guaranteed sunshine on all cycling trips! 5. What is your favourite power snack and why? No competition! Peanut butter and jam sandwich. Everything you need for a day out in a handy portable snack! 6. Item you can’t be without on a cycling holiday? It’s always hot and sunny on Skedaddle holidays, so as a pale faced Brit definitely my Factor 500 sunscreen and a good pair of shades. Want to know more about our Guides? Check out our Guide section on the blog to get to know our team a little bit better and for some expert advice on everything cycling.